“Before I started working with Paloma, I had so many ideas and visions, and plenty of motivation, but lacked a clear direction or a plan on how to turn my ideas into something that best served me and my community. I was working hard, but not necessarily towards anything. Paloma asked the right kinds of questions to help me gain clarity on exactly what I was offering to the community, and what my motivation was for sharing it. She talked me through how necessary and valuable it really was, and helped me see the monetary value of my time and efforts as well. Together we created a beautiful plan to ground down and organize my visions into a concrete business model; we put goals on the calendar, and made them happen! While putting a goal on a calendar seems simple enough, it was so much more than that. It was knowing that every small box checked off of my to do list was part of fulfilling a greater purpose! She took the huge overwhelming task of deciding my path & starting my business and broke it down into manageable and achievable steps. She held a safe space for me to express my doubts and troubleshooted where I was standing in my own way. "Rock Your Yoga Retreat is the REAL deal! 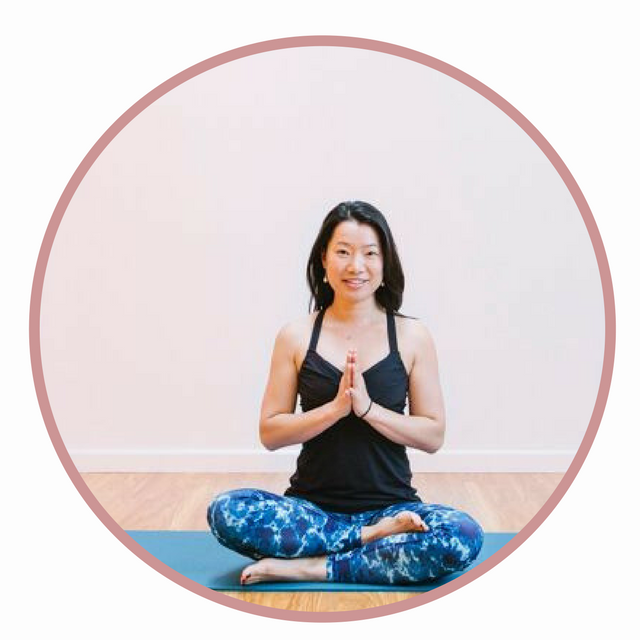 Paloma is an amazing human who helps yoga teachers manifest goals in a fun and fresh way! After enrolling in the Retreat Design Map Online course, I successfully led my first retreat AND made a profit. Retreat Guru Paloma helps you grow your business from the ground up. She’s even helped me find ways to continue retreat planning even though I’m in the throws of being a new mama to a baby girl. My dream retreat destination is Fiji, and I believe one day I will make that happen, thanks to Paloma. Rock Your Yoga Retreat gave me the tools and confidence to lead rocking retreats. Don’t think you can lead retreats? Trust me…you can do it with Rock Your Yoga Retreat." "Working with Paloma was like inhaling a deep breath of clarity and inspiration. Trying to figure out one's passion while simultaneously building a business around it, regardless of size or scope, is challenging. Paloma's array of business skills and expertise paired with her commitment to her own well-being and inner journey equips her to be immensely useful to professionals in the wellness and fitness industry. I have a lot of passion and energy but struggle with organization and accountability. Over the course of our coaching sessions together, Paloma gave me implementable tools and assignments to take action to grow and focus my business on the areas that flow best. We started from the roots and grew the tree up from there. She guided me to find my "why" and make a clear mission statement, both of which I hadn't hoed in on all that well on my own. “Working with Paloma was an inspiring and creative process. Paloma was so prepared and professional. She was able to bring out my vision for my yoga retreat and made the planning process smooth. "Before working with Paloma and Rock Your Yoga Retreat I was struggling to understand the finer points of marketing and budgeting my retreats. She shed light on creating thoughtful and eye-catching marketing materials as well as how to lead with my WHY. Before I was leading with what I was offering, now I lead with why and how I want to serve my students best. I would recommend RYYR to any teacher looking to expand their offerings to include retreats and don’t know how to get started. The program is easy to understand, and Paloma was there to support me every step of the way and continues to be whenever I have questions. Love RYYR!!!" "After teaching for four years and assisting in two international yoga retreats and one local retreat, I was ready to lead my own. I felt really confident about my skills as a teacher but had no idea where to start in the retreat planning process. How to market, who to market to and where to put my focus, energy, and money. I was almost paralyzed by the fear of failure and losing my hard earned income as the yoga retreat business had grown and become increasingly competitive. I had met Paloma during my first yoga retreat, so when I heard that she was offering a training on how to successfully host a yoga retreat, I was in! Rock Your Yoga Retreat is a clear step-by-step guide to help you identify the kind of retreat you want to create based on your unique talents and offerings and how to go about it. The hands-on tools provided during the training have been crucial in my success as a yoga retreat host because they allow me to see what my goals are and how to achieve them. The best part, Paloma was there all along the way. During and after the training she has always answered questions, encouraged me and offered practical resources to feel confident in my journey. Oh, and I sold out on my first retreat!" "I had a lot of hesitations about leading a retreat. First, I didn’t know where to start. I didn’t know how much to charge, how to get people to sign up, how to schedule the day, if anyone would even sign up. I felt pretty lost. One of my biggest struggles was to figure out what to charge for my retreats, and how to find the perfect balance between charging a fair price while covering all my costs and making a profit. Paloma supported me every step of the way in planning my first retreat. My retreat sold out in a flash! Her methods helped me to simplify the budget & pricing process, protect me from losing money, and helped me make a profit that was appropriate to the amount of work I put into it." Jesalyn Eatchel is a yoga teacher, retreat leader, podcast host and holistic healer. In this video she shares how Rock Your Yoga Retreat helped transform her retreat dream to a reality. "With Renee and Paloma’s help, I felt at ease about planning my very first yoga retreat. Renee and Paloma are beautiful, positive mentors with a wealth of knowledge to share about the yoga retreat business. When I started, I did not have a website, newsletter, online presence, or a place to host my retreat. Through their guidance, I gained confidence to create and share my knowledge with my yoga students. They helped me set realistic goals and timelines for my retreat planning journey. By giving me the steps and helping me implement them, I got my first yoga retreat planned for 2017!"